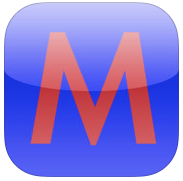 There are a whole bunch of other Mind Mapping apps that I wanted to have a look at. 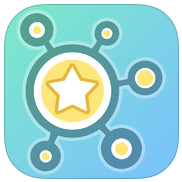 We did a review of some excellent Mindmapping Apps in 2011 and had a big response. 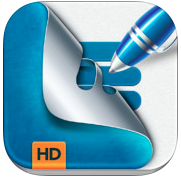 The apps mentioned are fantastic but there are some other cool Mind Mapping tools now available. Mind Mapping is one of those skills that students can really benefit from, whether it is just to organise what they need to know, showing what they already know or even scaffolding a piece of writing. I love the ease of mind mapping on the iPad especially those apps that allow you to go back and modify or enhance an existing mind map. Here is a bunch, find one that is appropriate for you or your students. A unique mind mapping app that uses media for laying out thoughts and ideas. 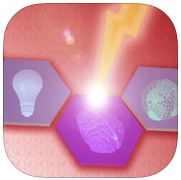 With Cell Storming you create mind maps by connecting hexagonal cells together and then adding media elements to these cells. You can add images, videos, voice memos, text, and web links to each cell on the map. This app is a very effective mind map. You can work on a project of any size, make your mind maps vivid with colour coded branches and individual ideas. 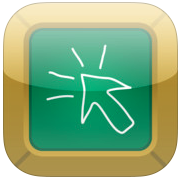 You can add images, labels and text to your ideas and assign various icons to the ideas. You can also choose the app colour scheme which works best for you. 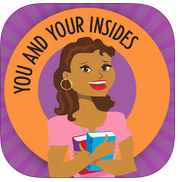 Great app for school, personal use or business. 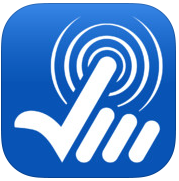 Completely redesigned with iOS 7 inspired user interface and great new features. Organize your ideas and improve productivity. Best for meeting notes, brainstorming, capturing ideas, doodling, taking notes and managing lists and to-dos. I really like this one! 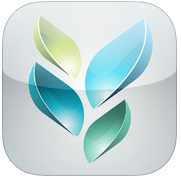 BigMind is a great tool to record your ideas, create to-do list and take notes at meeting. It is a fast, intuitive method to collect ideas and information and think things through. Create more quickly and with more convenient operations, it will greatly improve your personal productivity. See an idea grow from a thought bubble to a neat outline in one step. Like a traditional mindmap EDNA helps you organize your thoughts by entering your main idea in a thought bubble and then add supportive topics and details. Enter a Main Topic, 12 Topics, 72 Subtopics and up to 288 detail level items. Brainstorm, To-do Lists, Spider Graphs, you name it! One of the only mind mapping tools that allows printing and the addition of pictures. Just double click to make a Node! Easy to use help feature! Ask questions, view tutorials, FAQ, etc. Dropbox, Peer to Peer Networking, Printing, PDF, Email, and Pictures! Generate and explore your ideas with this simple to use mind mapper that features an uncluttered and clean interface. Use the clutter free designer to quickly generate and organise your ideas into an elegant mind map. 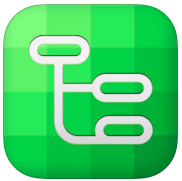 Easily add new nodes, change text, and set colours for one or multiple nodes. Concept maps organize knowledge in the form of a graph of concepts. Concepts are represented in a rectangular box, and are connected to other boxes by arrows. These arrows define the relationships between the connected concepts. Concept boxes may have relationships to and from several other concept boxes. Trout is loosely based on the mind mapping concept that allows you to rapidly associate ideas in a non-linear way. Ideas can be categorised with colour and icons and you can use images. 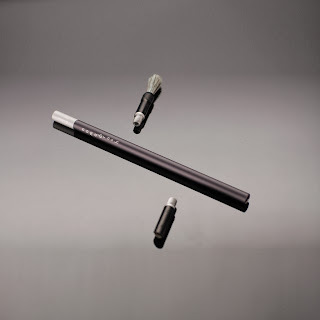 Trout incorporates an audio which allows you to record through your iPads internal mic while continuing to create a map. 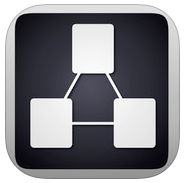 Tool for rapid creation of complex mind maps: Brainstorming, planning, organizing, creating concepts. 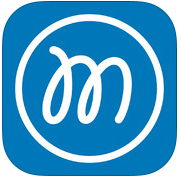 No matter whether you are preparing for an exam, organizing homework or planning a major project, Mind Concept lets you illustrate your ideas and their relationships clearly. 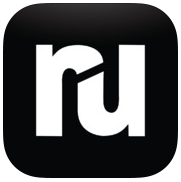 Ruminate 2.0 is the ultimate way to outline papers and organize research. 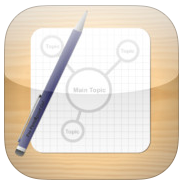 Now with expanded reference capabilities, more options for sharing, and plenty more, the App Store's only text-focused mind mapping app is back and better than ever! Don't just think: Ruminate. Quickly and easily combine your ideas with the electronic and hardcopy sources to create fluid and comprehensive outlines. I was interested to see on Christmas Day the different types of apps the young kids at our family gathering had downloaded on their family iPads. 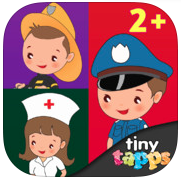 My 3 year old nephew, who is absolutely mad about Fire Engines, obviously wanted apps where he could be a Firefighter. Not a category of apps I was instantly familiar with but his mother had found a couple that she said she would recommend. She only bought him two but still had the list she had researched. Here is the list. 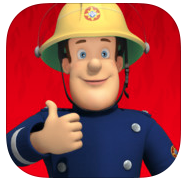 Young fans can learn with Fireman Sam and the rest of the Pontypandy Fire Crew as they take on the role of a fire cadet in training. They can earn an ‘Honorary Junior Fire Fighter’ certificate before putting their skills to the test and helping out Fireman Sam in some action-packed emergencies. There’s a fire in LEGO City! 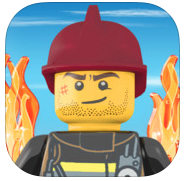 Help the fireman put out the fires across LEGO City by climbing the fire truck ladder and using the fire hose. Some fires will be harder to reach than others! Fires over a larger area will need you to control the helicopter! The biggest fires will need you to take charge of the Fire Truck! The Firehouse alarm is ringing! Put on your firefighter suit, grab your gear, and hop on the fire truck. There’s a emergency and the Little Explorers need your help. 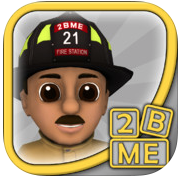 Firehouse Adventure features eight dynamic mini games that will teach your child about the roles and responsibilities of firefighters. Earn rewards along the way that teach about firefighter equipment and fire safety. 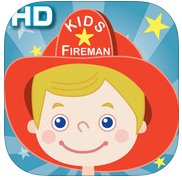 If your children love firefighters, this app is a must have! Go through the life of a firefighter from the moment the fire alarm sounds at the fire station to putting out the fire and rescuing a cat. 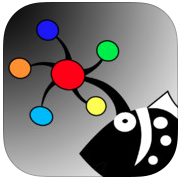 Slide up, slide down, move, touch and poke various objects with real sound effects and colorful scenes. Children will feel like a firefighter. This app is full of activities that your children will love. 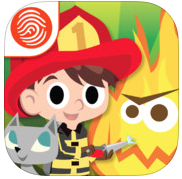 This app invites your child to embark on a unique tour of the fire station. 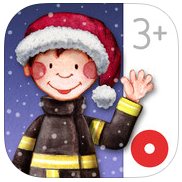 A perfect app for curious little minds that want to know all about what firefighters do. Children are invited to interact with all types of firefighting equipment, allowing their imaginations to flourish while engaging and educating them along the way. 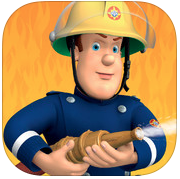 FIREMAN SAM is back with FIRE & RESCUE. Join him and the rest of the Pontypandy crew in this collection of emergencies and rescues. SEVEN ways to play including interactive single and multi-player games, video player, and a special reward sticker book. Featuring all the familiar characters, music and sound effects from the TV show. Community Helpers teaches preschool children about people who make our lives easier and remind us of how inter-connected our lives are.Your child will learn about some common and others not so common Community Helpers. From the work they do, place they work in, tools they use, transport they use even the uniform they wear. Rampaging Fire Monsters are on the loose in Big City –chasing kitties, scaring puppies and setting things on fire! Don’t worry, you are a firefighter – you can do something about it! Use your special backpack hose to drench Fire Monsters, use ladders to climb past obstacles, and save kitties and puppies – all while practicing your skills with numbers, shapes and symbols. 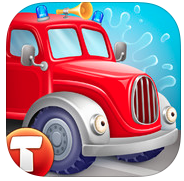 There are 5 different firetrucks and thanks to the app your kid will learn a lot about fire engines, their components and the purposes they have. Doing different tasks earns your little one rescue stars. 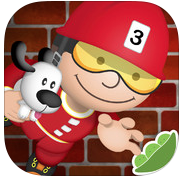 The app will bring your little firefighter into the thick of the action and make them a real rescue hero! Fire department stories and adventures involving fighting fires as well as saving, rescuing and helping people and animals. This and many more adventures with the firefighters and policemen: the speeding car, the cheeky crow, the smart firefighter, the lazy policeman and the dancing traffic officer. I love the fact that the iPad can be used to assess student understanding instantly. I think these Quiz and Poll apps actually give the students the power to direct lessons as opposed to teachers making assumptions about where their kids are at in their learning. 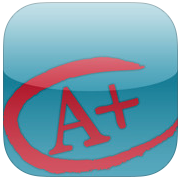 Below is a list of apps that allow teachers to create and hold a quiz or poll in their class. A great way to start a lesson to ensure you pitch the lesson at the right level or even to use as a exit poll. Find one that suits you and your students. Socrative brings smart clickers and student response to a whole new level. 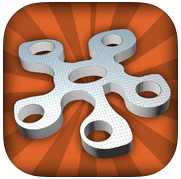 Engage the classroom with exercises and games while capturing student results in real-time. Interact with the data to further student understanding in the moment, and review the reports to prepare for future classes. eClicker is a personal response system that allows teachers to poll their class during a lesson. 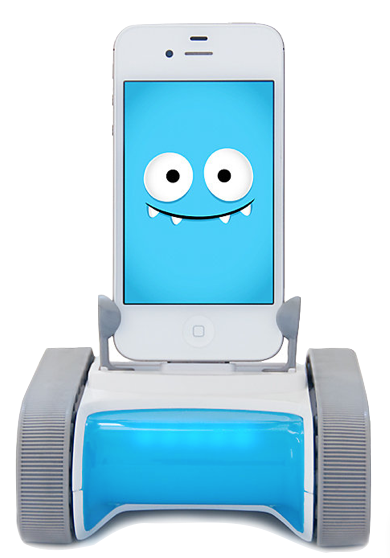 It provides teachers with the real-time feedback they need to be sure their messages are being received. eClicker leverages the hardware already in the hands of many students providing a polling solution for the classroom. 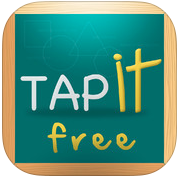 An ideal tool for your flipped or blended classroom. The interactives provide six different ways to take a snapshot of student understanding in the classroom. Draw feature allows students to draw their answer or annotate on a customisable template such as an axis or graph paper or your own custom graphics. 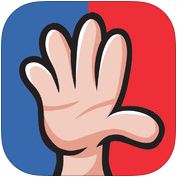 Show of Hands is an easy-to-use real-time polling tool. Use the powerful SOH engine to ask your own questions. With it, you can get anonymous answers and have instant discussions with your own work teams, friends, fellow hobbyists or fans, classmates, family members, customers. 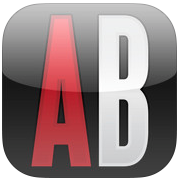 Create a quick poll or quiz on the go. Each polltogo poll has a unique short URL and QR code that you can share with your students, audience, readers, etc., for instant feedback on any topic or question. 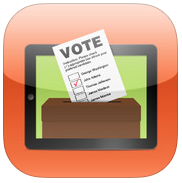 Voting/Participation in polls you create can done using ANY mobile device, tablet or desktop browser. Engage your survey respondents with Polldaddy for iOS -they'll enjoy the intuitive interface for responding to your questions and the speed of the application. Checkboxes, dropdown menus and text fields have all been optimized for your iPad or iPhone's touchscreen. Vote Kiosk improves every stage of the voting process in a classroom. This mobile app streamlines the voting process by improving voting organization, encouraging student participation, and enhancing data management. Vote Kiosk ensures reliable, fast, and convenient voting/survey activities. The iResponse is an intuitive and easy to use classroom responder system that allows for in-the-moment student-teacher interaction. Works with a stand-alone network router. iResponse provides teachers with the ability to integrate the iDevice into their class sessions, creating an interactive learning experience. 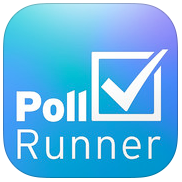 PollRunner lets you instantly create, serve and manage polls from your iPad. 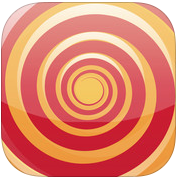 This is an app for running pop-quizzes in classrooms or asking for feedback at different touch-points. Simply create your poll and invite participants. Respondents submit their votes online through any modern web browser. 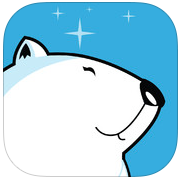 Polar is a super-fast and fun way to collect and share opinions on just about anything -- no matter where you are. Quickly create great looking polls and let anyone vote or share them privately in chat. Use your own photos or search the Web for the perfect image. You can instantly see new votes and comments on your polls. 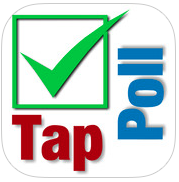 TapPoll is a quiz and polling app for iDevices. 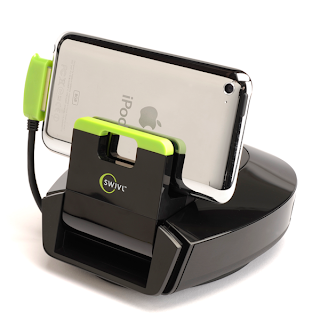 It can be used for studying or even polling in the classroom. Polls are for live, instant feedback. The results of a poll are graphed instantly on TapPoll.com as responses are being made on the devices. This is great for classroom feedback. Inquiry Learning is one of the areas that many schools are now investigating. It is a great way to incorporate student choice and student voice. One of the many schools I had the privilege to visit this year had a Year 4 class using the inquiry model to investigate the Human Body. These students each went off on their own learning paths negotiated with their teachers. What they produced was fantastic. Many of these apps were identified by the students themselves and we added a couple of other worthwhile apps for this unit next year. Explore an animated and interactive model of the body. The heart beats, guts gurgle, lungs breathe. Designed for kids to discover what we’re made of and how we work. Six layers of the body teach basic human anatomy through the skeletal, muscular, nervous, circulatory, respiratory, and digestive systems. 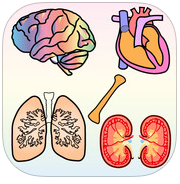 Learn the principles of human anatomy in a playful and engaging way. 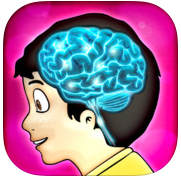 Created by a team of medical doctors, educators and parents "This is my body - Anatomy for kids" features informations about all important aspects of the human body – all within in a beautifully designed and illustrated app! 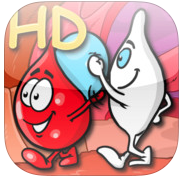 Discover Your Body HD is a funny and educational application for kids and adults. 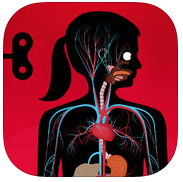 It allows you to explore the human body, learning about its organs and parts. Stunning graphics, crystal-clear sound with a professional native speaker, funny sound effects - it's everything you’ve ever wanted in an iPad app. In this, one of the many Clever Crazes worlds, students will examine the human body including: skeletal, digestive, respiratory, circulatory, reproductive and nervous systems. Kids will also learn about growth and development taking place through life cycles. Great animations and presented in an informative way. 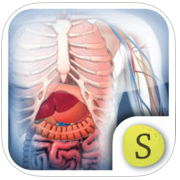 Anatomy Browser is a human anatomy catalog which allows you to peel away layers of the body and identify muscles, organs, and systems of the body in full 3D. With the ability to adjust the transparency of each layer, you'll be able to easily identify the relationship of organs to each other as well as their names! Through the nervous system’s response to external stimuli, we relate to other living beings and to our surroundings. Our senses receive stimuli; the nervous system processes the information and responds in the most appropriate manner; then, the musculoskeletal system implements the action. Learning about the human body? Do your students know where the spleen is and what is its purpose ? Do they know that one lung is smaller than the other ? Do they know that the hairs in their nose traps allergens and dust. This are some of the information your students will learn from this app. Learn about the body's major organ systems with an excerpt from Spongelab's stunning Build-a-Body series. Choose organs from the organ tray, drag and drop them in their correct position within the body to build each system. Complete all systems and then assemble them into a complete body. 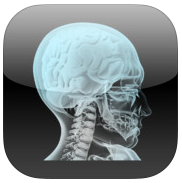 4D Anatomy allows students to interact with complex information with unprecedented ease, speed, and depth. Completely interactive 4D Anatomy takes viewers inside the human body via a simple-to-use 3-dimensional learning environment. Perfect for use in the classroom. 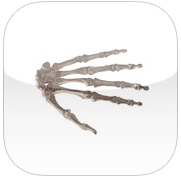 Bones for Kids is a fun app that teaches several things about the Human Skeleton. Names and position of bones in a human skeleton plus a brief and simple description of the bones. 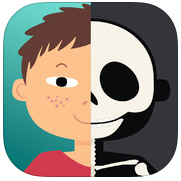 There is a gallery as well as a Bones Quiz to help kids learn the names and shapes of bones. There are always a couple of products that you wish you could go out and buy yourself. Christmas is always a good time to spoil yourself with unnecessary accessories. So here I go - here is my Christmas wish list. The controller just snaps onto your device and it create the old style gaming console feel. No longer to do you have to try and hold your devices without your fingers covering the screen. 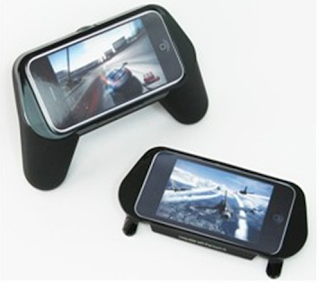 This is a cheap and fun gift for any iDevice gamer. I want to throw one of these on the wall in kitchen or on the deck out the back. Hit play on the video, music or cookbook. No more cleaning food off the iPad just click it off the wall and away you go. I can't help it! Once an art teacher always an art teacher. The unique dual-tipped design of the Nomad Compose ensures that you can quickly access the preferred tip for creating artworks on any of your touchscreen devices. I have recorded on my iPhone and iPad in the past and never really get the sound quality that I need. 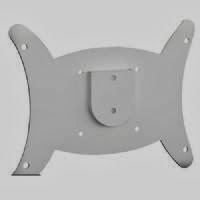 This is the best affordable solution I have tried for that situation. 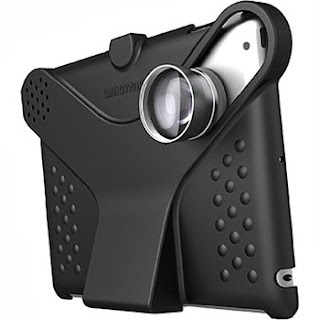 This would allow any teacher the ability to walk straight into any class and start recording. I love the idea of students having 24/7 access to lesson materials. A Flipped classroom must. 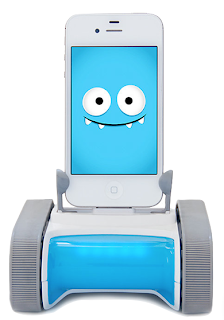 A kid in the ad programs her Romo to smile when she gets home from school. That is enough for me, I want one. These would be fun to have at work, at school and especially at home. I am lucky to come into contact with some really special educators. Every day I see the most fantastic and energetic teachers helping their students, helping each other and helping themselves. Today we have some of these special teachers as guest bloggers. Annie Barton and Hayley Schirmer are two teachers who have developed a fun, interactive and inclusive way of developing teacher's confidence in the touch and swipe environment. We have invited them to guest blog their story on providing professional development to their staff. In January this year we took on the role of eLearning Leaders at Melbourne’s newly opened Albert Park College. Our aim for the year was to show and encourage teachers to transform learning and teaching through the meaningful use of iPads, and also to share our passion for using technology creatively to increase student engagement. 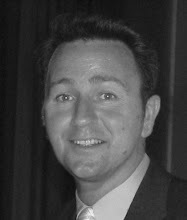 Albert Park College has a strong focus on professional development. Each week staff meet to engage in professional development focusing on particular areas such as differentiation, e5 Instructional Model and eLearning. Over the year, we have delivered a range of interactive professional learning sessions aimed at encouraging teachers to become immersed in the digital age. In July this year at our annual two-day conference, we presented a session to staff with the intention of clearly demonstrating the possibilities of combining apps to meet a lesson outcome. After lots of brainstorming we finally had the idea!! To use dice to help show how easy it is to combine apps and have a little fun! We used three dice, each dice represented a particular e5 principle; explore, explain or elaborate. It was easy to develop lists of apps for each e5 principle, but we narrowed them down to six apps for each dice with a focus on introducing new apps. 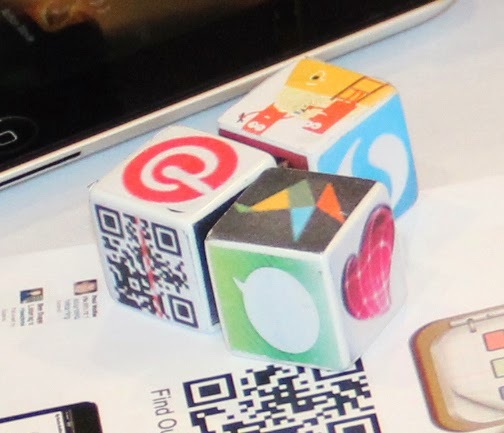 Now to make the dice come to life…We printed each app as a sticker and manually created each of the dice. Little did we know our great idea would become hours of work. 40 people x 3 dice x 6 sides = 720 stickers to be placed carefully on each side of the dice and in the right combinations! That almost sent us crazy! In addition to the dice, we created 'Idea Cards' for each app, giving suggestions for how an app could be used across curriculums. This was used to help teachers stimulate creativity and ideas and extend this concept after the conference. During the workshop we encouraged staff to consider an outcome for one of their lessons. Then, they needed to roll the dice and come up with a combination of apps that could be used to meet the lesson objective. This idea encouraged our teachers to consider the spontaneity of combinations of apps. If one app didn’t particularly meet the lesson requirements teachers were encouraged to roll a dice again. What occurred during our session was teachers working together developing lessons with technology in the forefront of their minds. At the end of our sessions teachers had written a lesson that they could put straight into action when they returned to school, some even begin this process during our session. As part of our objective for App + App + App= Lesson, we encouraged teachers to implement a culture of planning lessons around using apps that meet a certain criteria, rather than specific apps. We also encouraged teachers to encourage their students to use apps they felt met the outcome, rather than relying on the teacher knowing how to use every single app of the app store. We want to develop a culture of students teaching teachers, and students to think creatively to choose the best way for them to produce work for an outcome, rather than teachers limiting the only options. Our workshop was really successful. We had teachers implementing their planning the very next week in classes, and students were excited that they no longer were told which apps to use for what. They had the freedom to conceptualise the product for each learning outcome. We encourage you to give it a try at your school - what feedback do your teachers have about these ideas? How does it open up possibilities for lessons and outcomes in your subject areas? You can use any apps for this activity - and could even use it in the classroom with your students. We would love to hear from you, contact us via email or twitter.